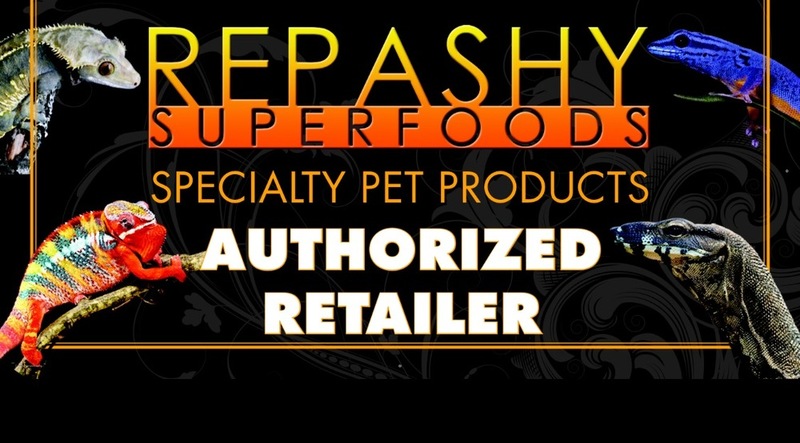 Come in today and check out our selection of Repashy Super Foods!!! 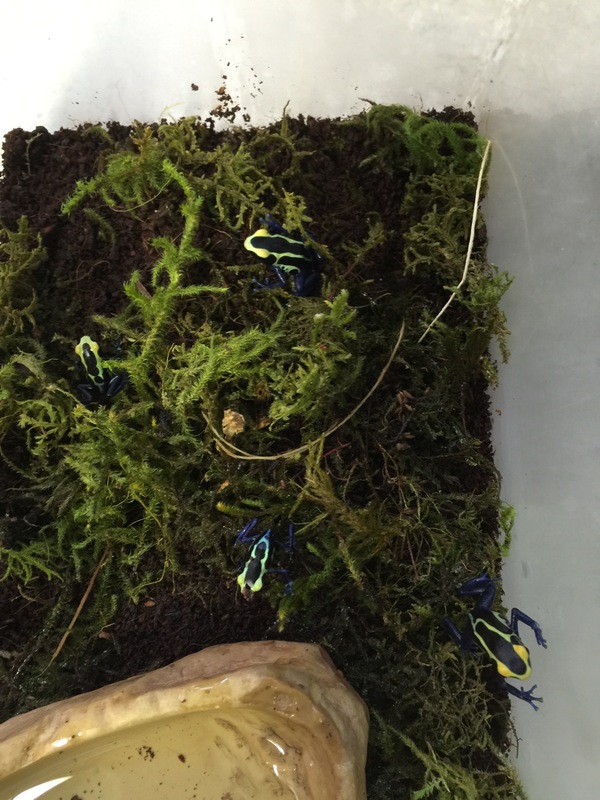 We carry a variety of Tetra Fauna Terrariums and Supplies. 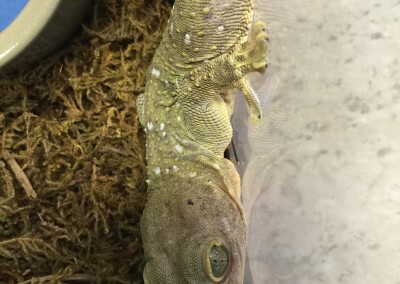 Geckos come in a variety of beautiful patterns/colors depending on the species. 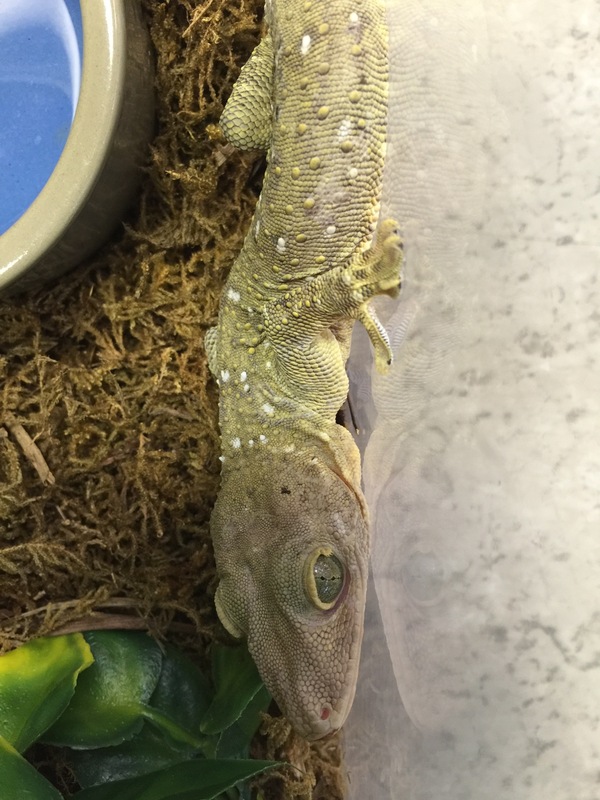 We carry a variety of geckos both suitable for beginner and advanced keepers. 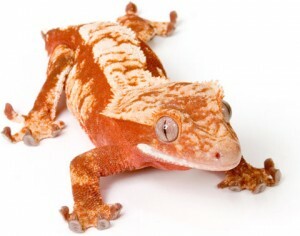 Come in today and browse our inventory of geckos. 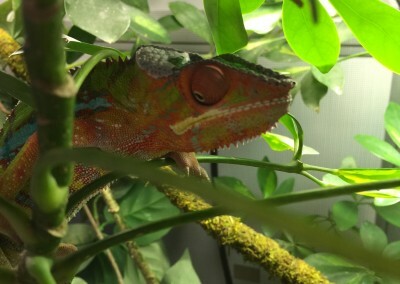 Chameleons are unique lizards that live in a variety of climates and locations. 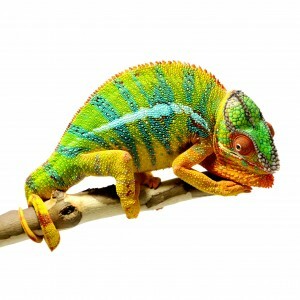 Half of all the species are from Madagascar and the rest can be found in Africa, the Middle East, Europe, and Asia. 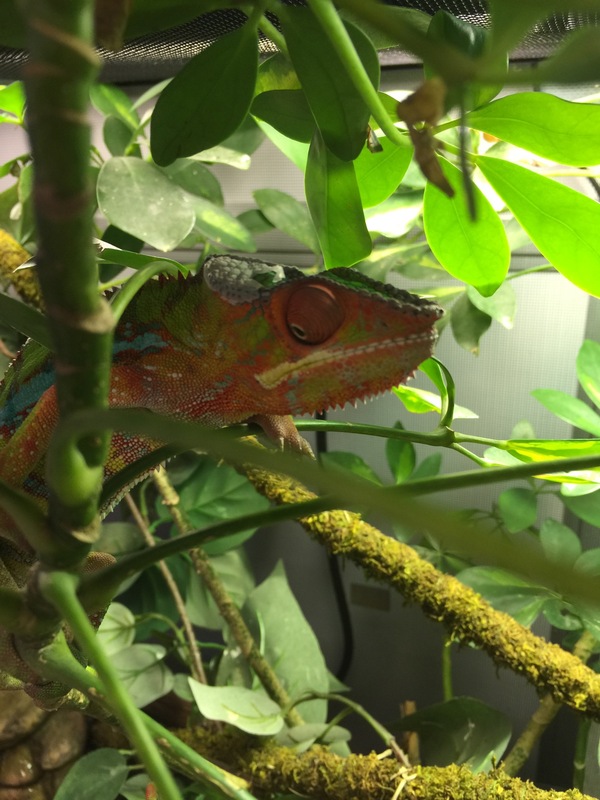 Chameleons are arboreal and have adapted to live their lives in trees. 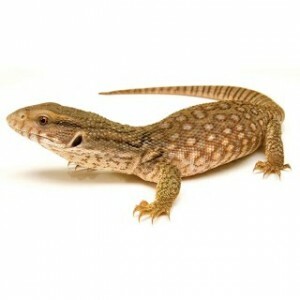 They are carnivores that feed primarily on insects, but some will also eat small reptiles and other vertebrates. 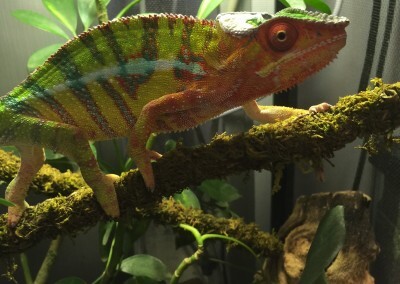 Chameleons have some amazing physical features. 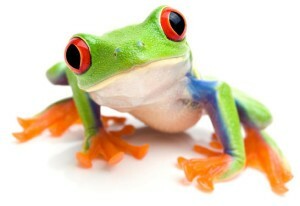 Most have eyes that move independently and have a very long projectile tongue. 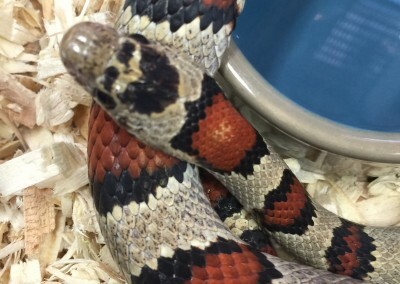 Some species can extend their tongue up to twice the length of the body. 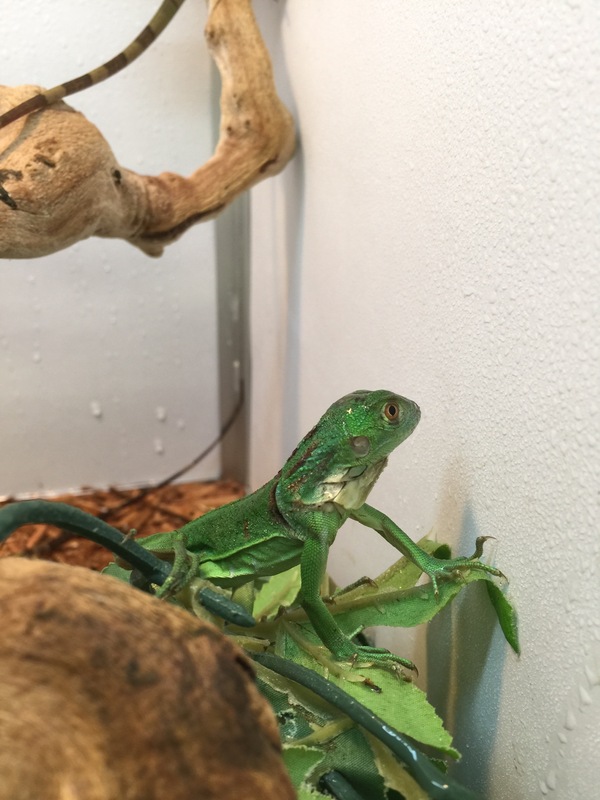 They also have a prehensile tail that helps them climb and balance on branches. 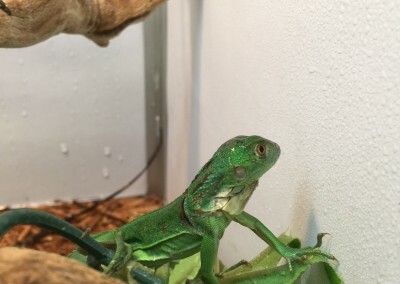 To aid a life in trees, their hands and feet have fused to be pincer-like which helps them grasp branches. 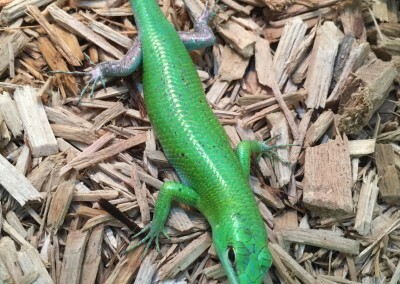 These reptiles also have flattened bodies, another adaptation for an arboreal lifestyle. 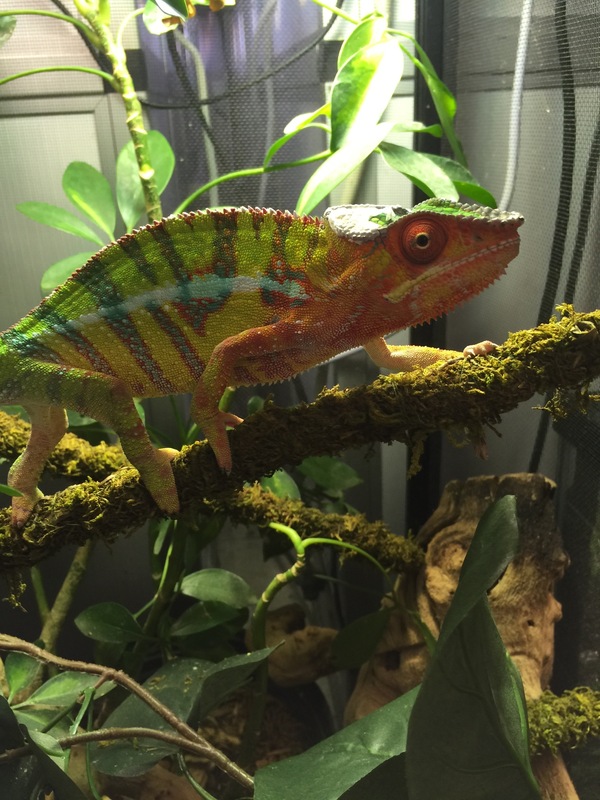 Chameleons vary greatly in size, color, and longevity. 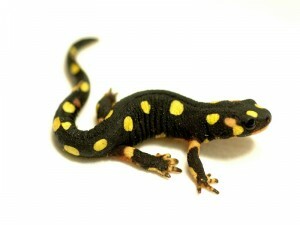 The smallest species is less than two inches long and the largest can be up to thirty inches long. 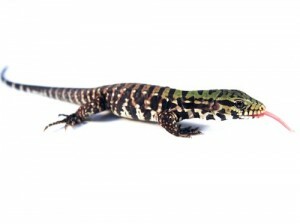 They are often colorful lizards and can be green, blue, brown, black, orange, yellow, as well as other colors. 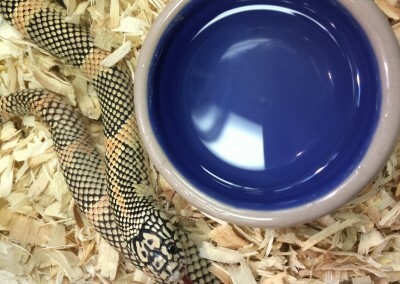 Some can change their color which can represent emotions like fear or anger, or it is used as a way to regulate heat. 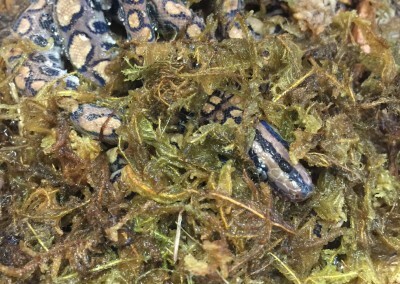 A few species color change to blend into their surroundings and hide from predators. 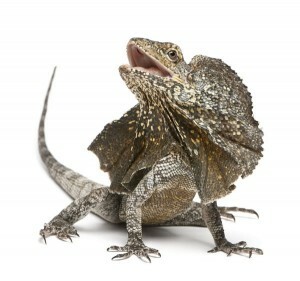 The inland bearded dragon is generally considered one of the all-time best lizard pets. 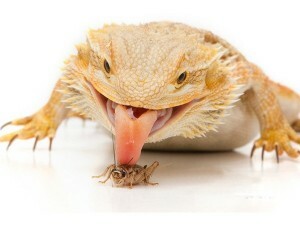 It is known for being alert, hardy and tame, and bearded dragon owners love watching their lizards, whether during a feeding frenzy while chasing crickets or simply interacting with each other. 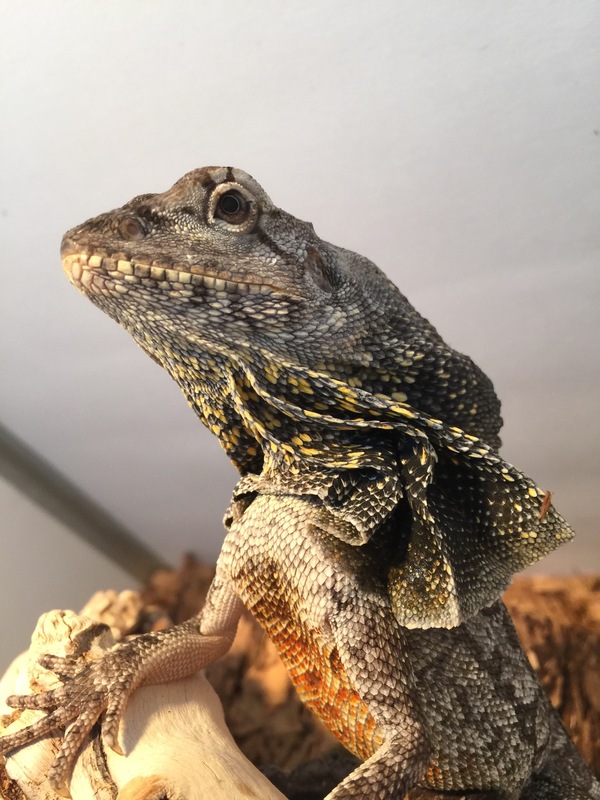 Bearded dragons exhibit interesting behaviors, too, such as “arm waving,” in which a female (and occasionally males) may lift a front leg in the air and “wave” it as a submissive gesture. 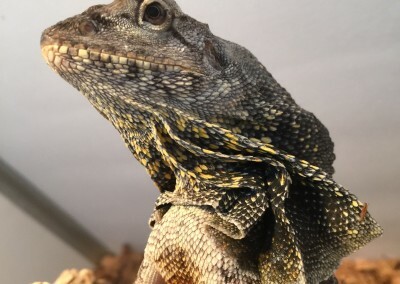 The spiny “beard” from which the lizard gets its common name may also be extended, though it’s uncommon for tame captives to do so; dragons typically do this when alarmed. 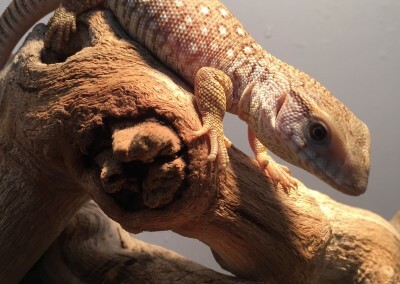 Monitors are definitely not for the beginner reptile enthusiast and certainly not recommended as a casual pet. 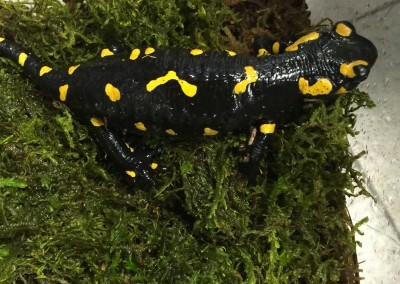 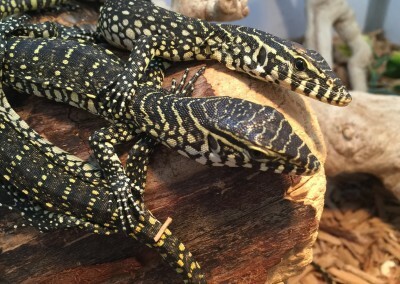 While they are fascinating creatures that are very intelligent, inquisitive, active and beautiful to look at, they do require specialist reptile knowledge and considerable commitment to keep in good health. 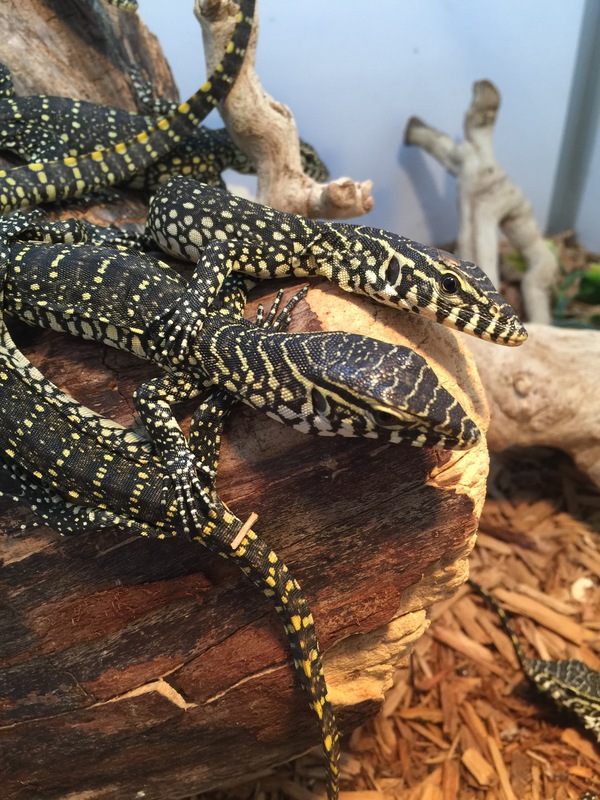 If you are thinking of getting a monitor lizard then make sure you do your research. 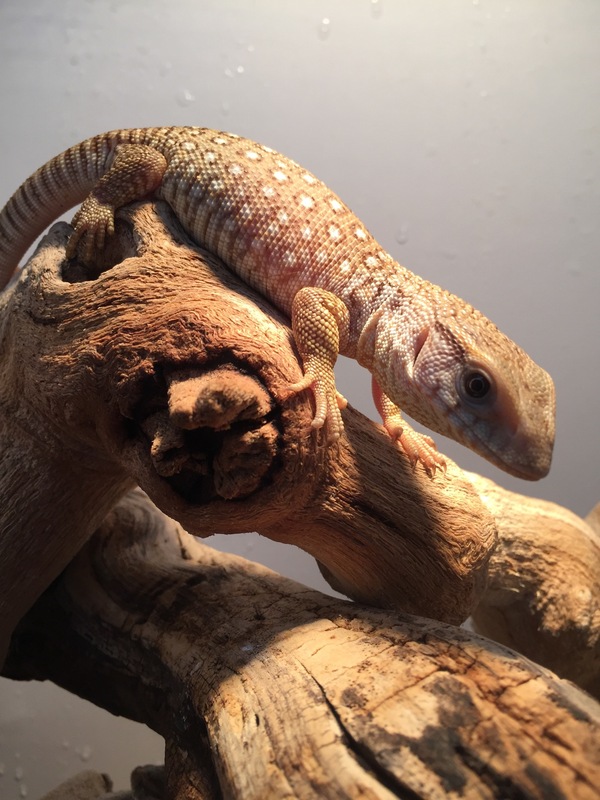 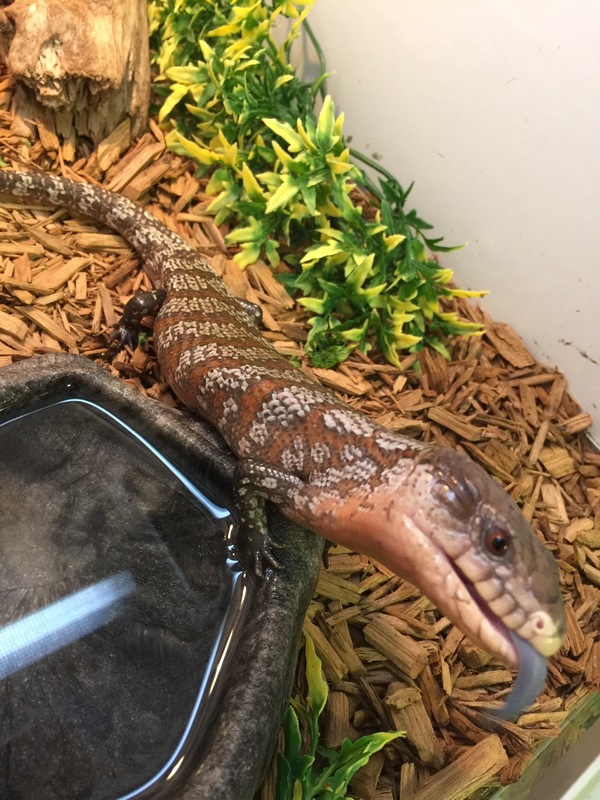 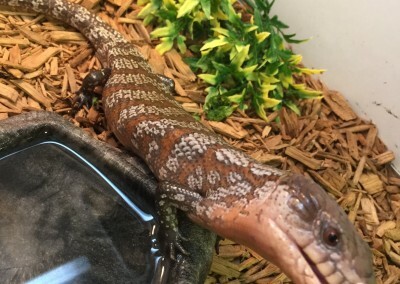 Come in and speak with our knowledgable staff and find out if a monitor is the right pet for you– research the species and its needs and correct husbandry before choosing one as a pet. 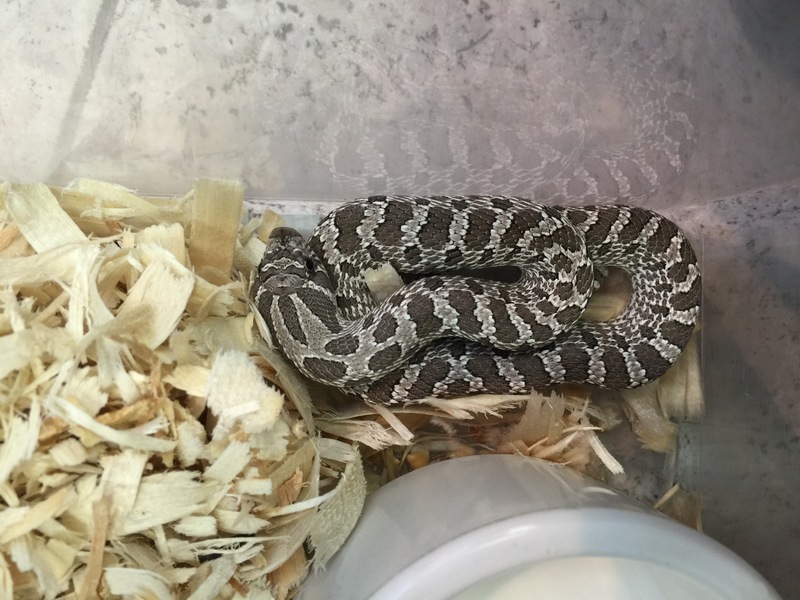 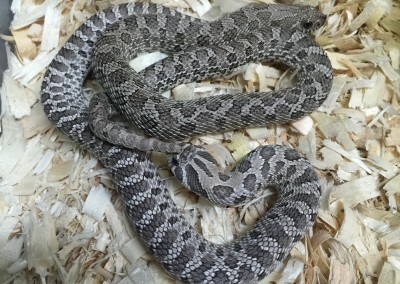 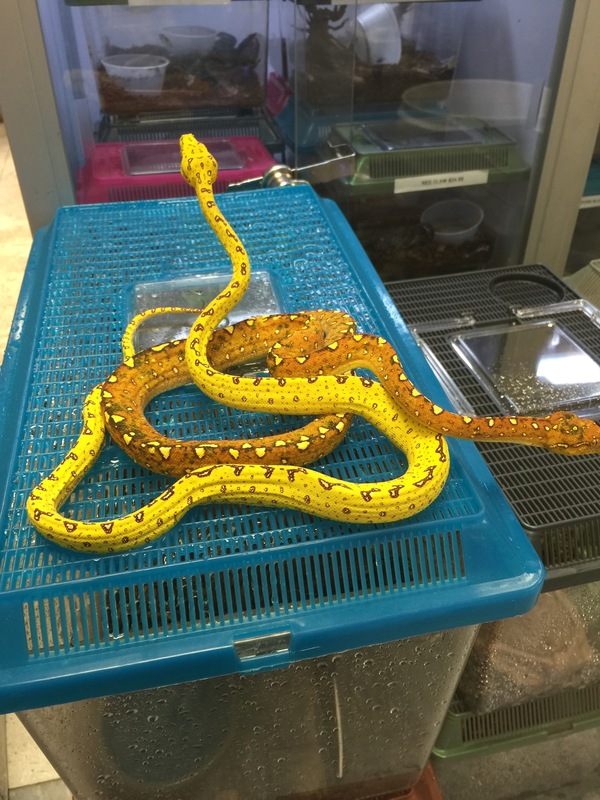 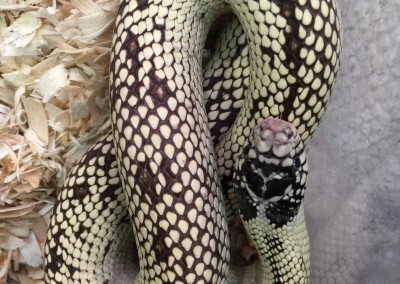 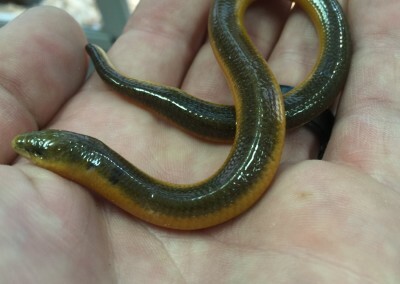 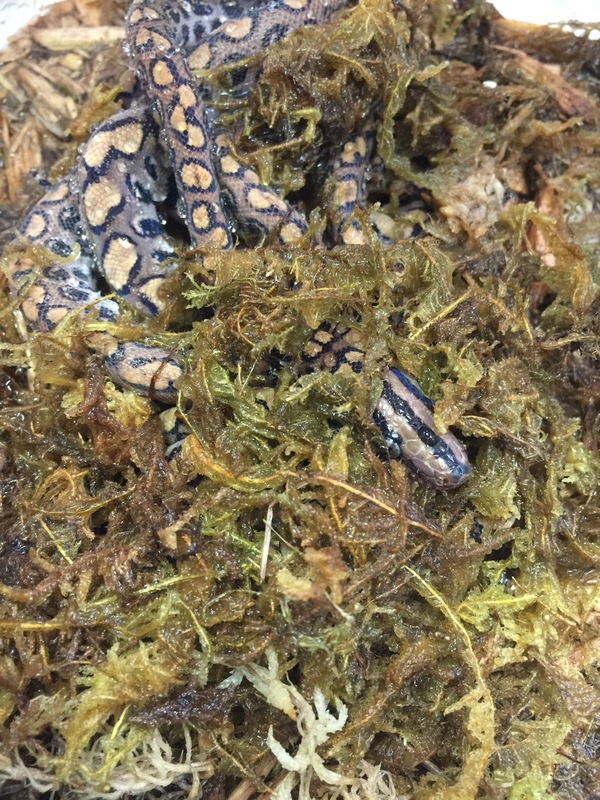 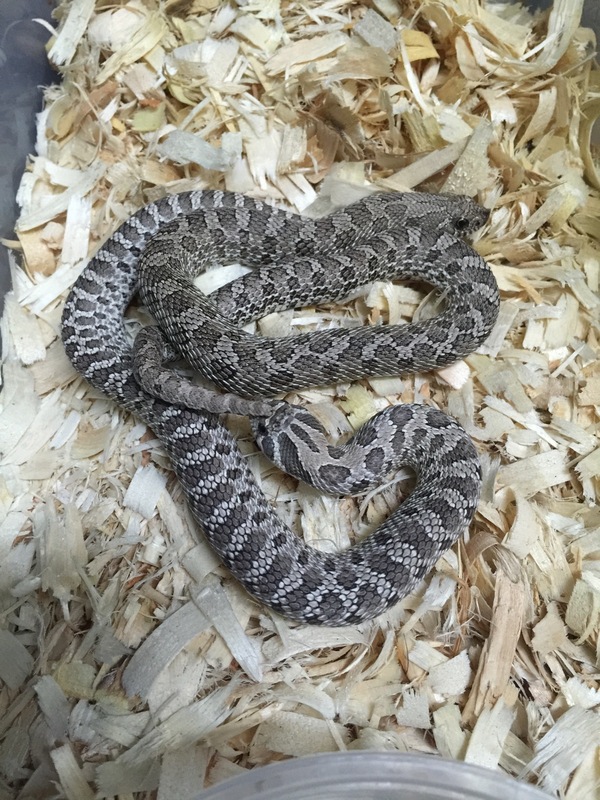 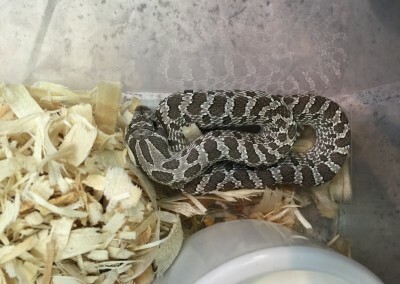 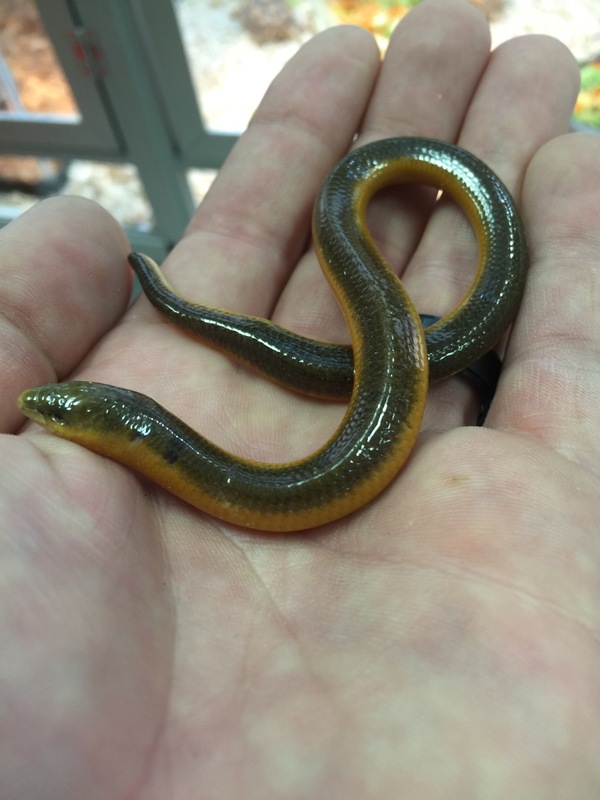 The most common type of snakes seen within the pet trade today are known as colubrids, members of the scientific family Colubridae. 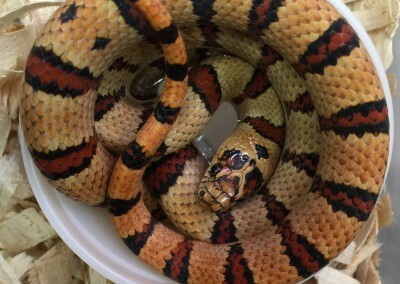 Encompassing nearly two-thirds of currently known snake species, colubrids include corn snakes, milk snakes, king snakes, garter snakes and numerous other individual species. 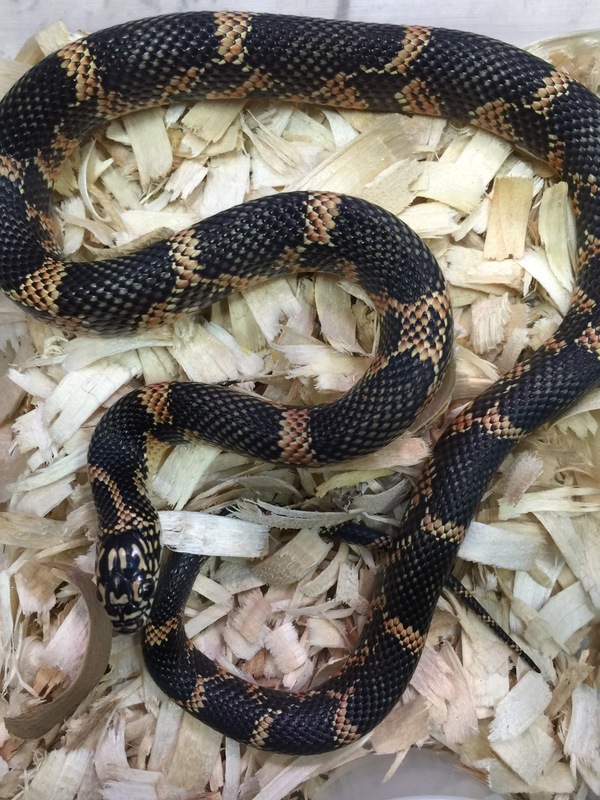 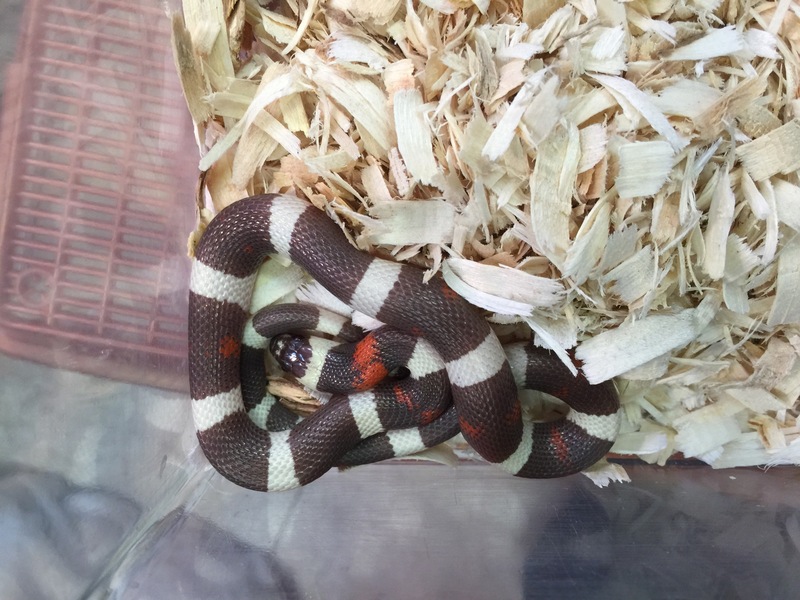 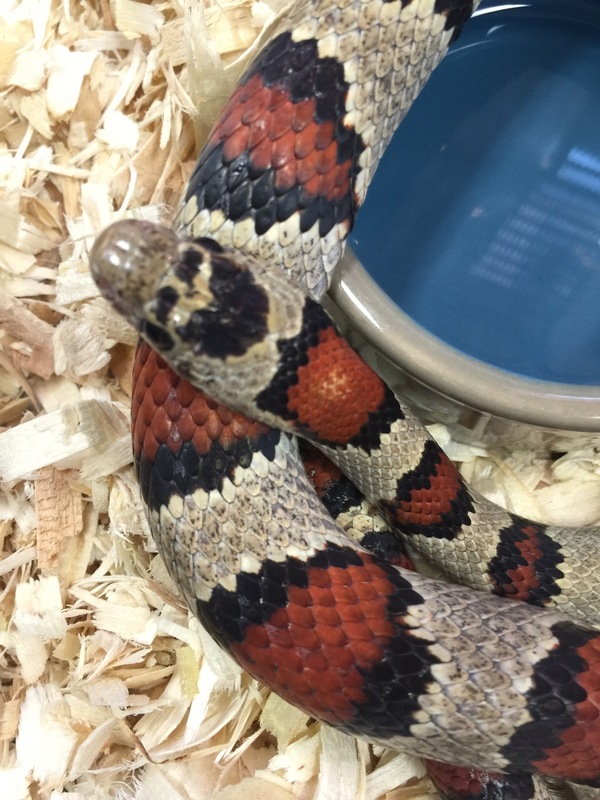 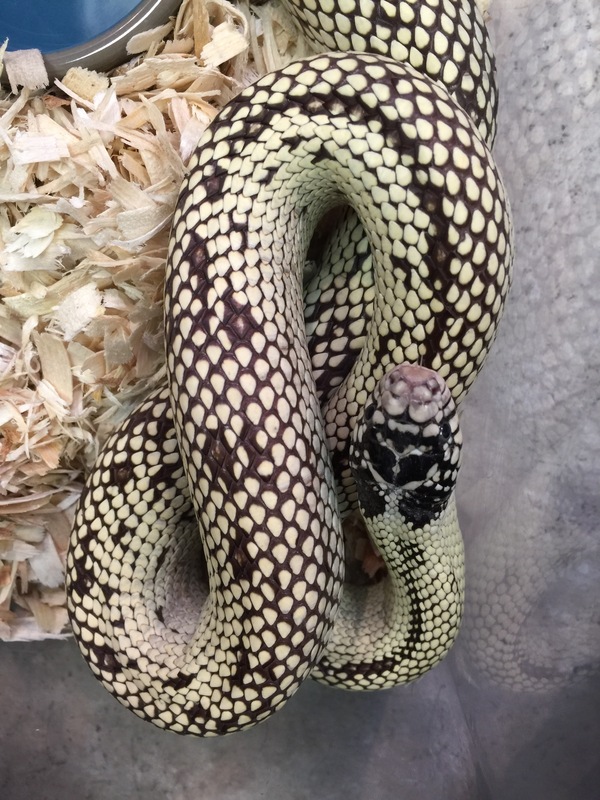 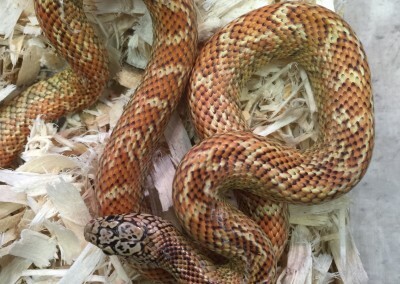 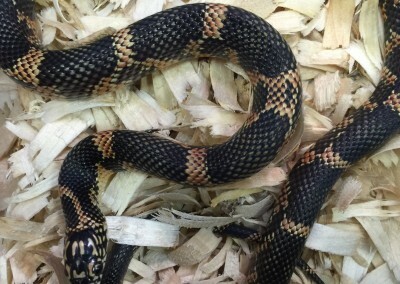 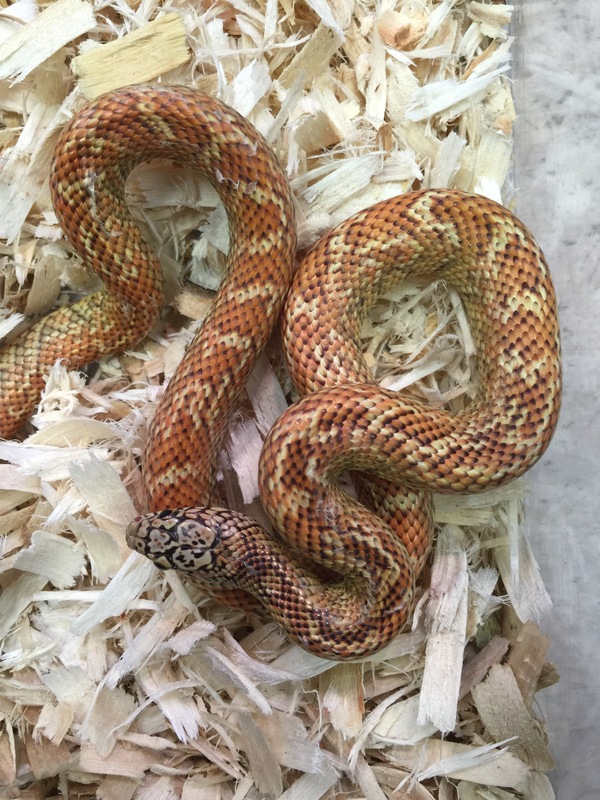 Corn snakes are often the most popular selling colubrid, followed by king snakes and milk snakes. 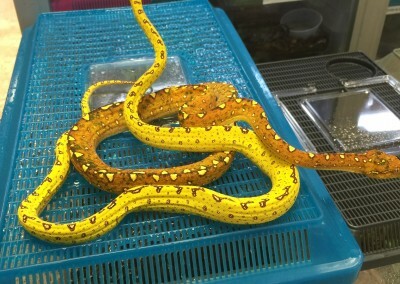 Within each species, however, numerous unique colors and patterns are available, providing a great deal of variety. 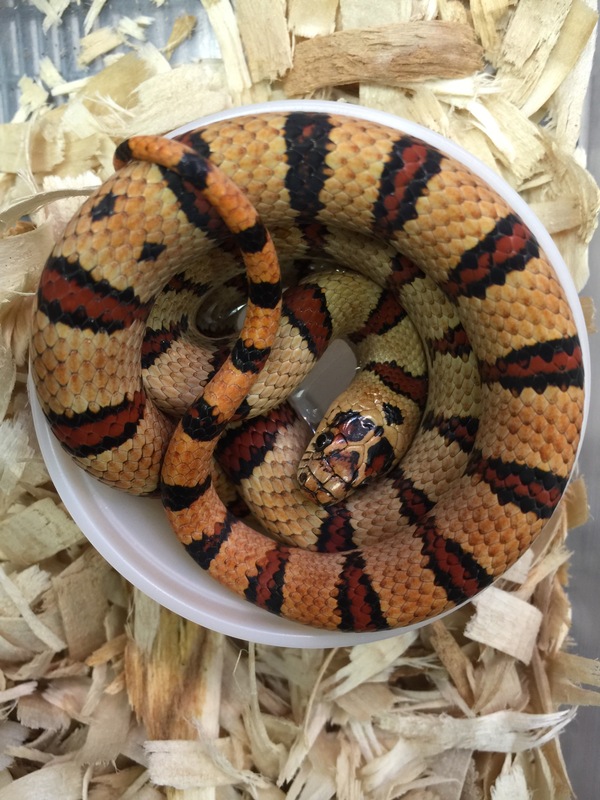 We stock a great deal of colubrids of all types, color and pattern mutations. 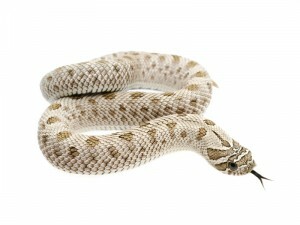 We also stock a wide variety of product to care for your new pet snake. 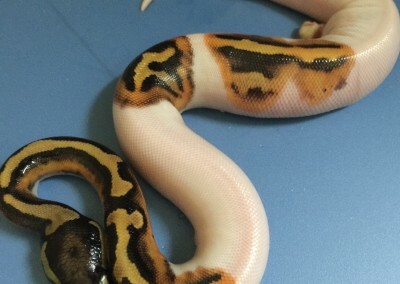 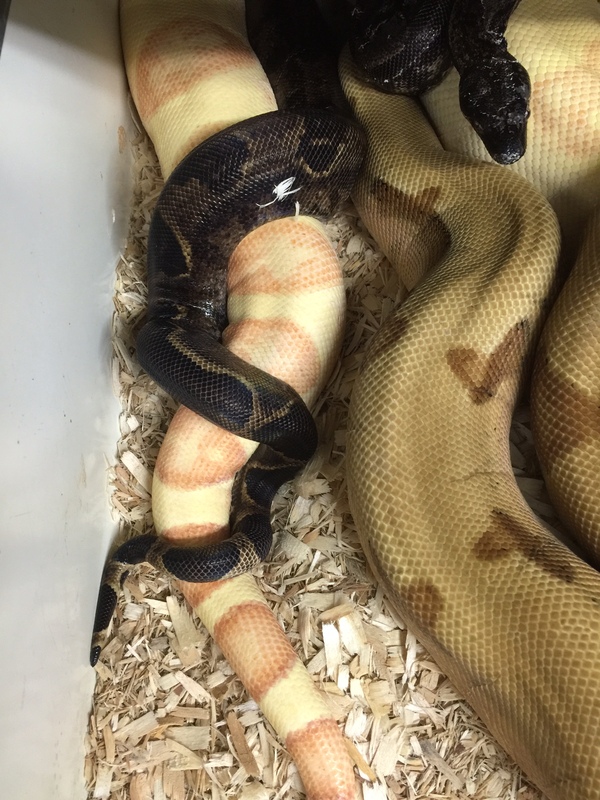 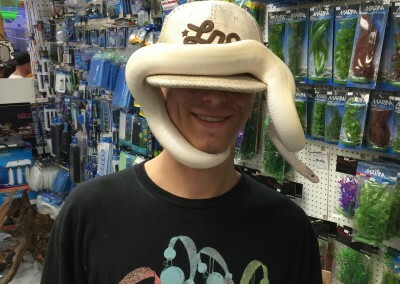 Their are many species of boas and pythons on the market today. 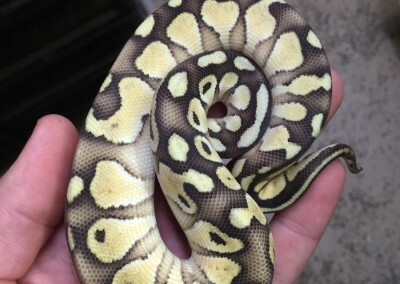 Some species are great for beginners and some best left for advanced keepers. 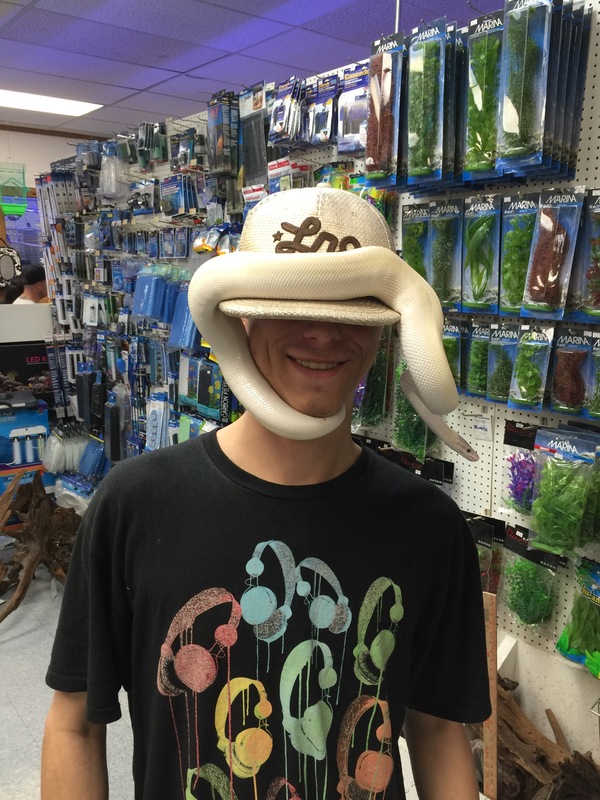 But no matter what your level of experience our staff can find the right snake for you. 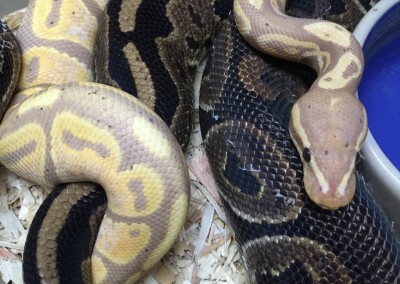 Pythons and boas come in a wide variety of patters and colors, from wild type to an array of mutations of any color or pattern you can imagine. 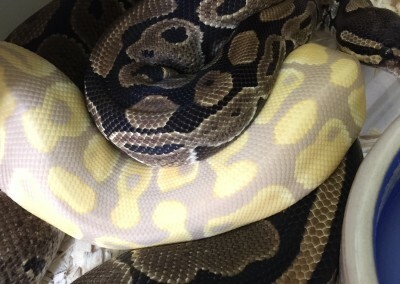 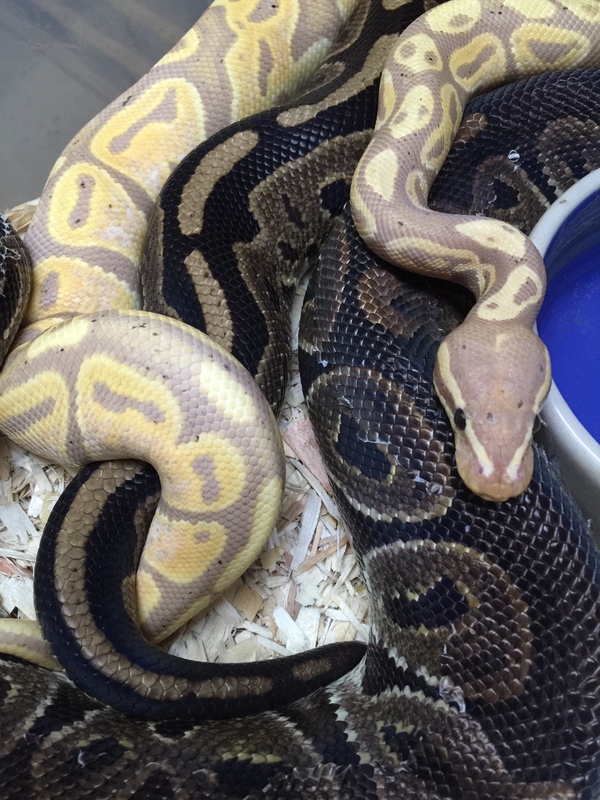 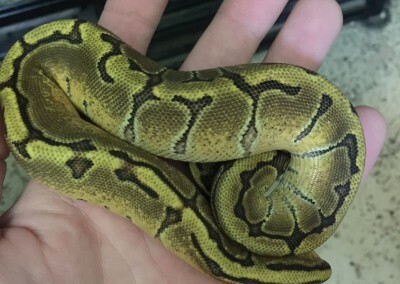 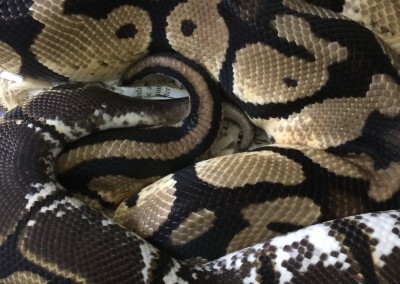 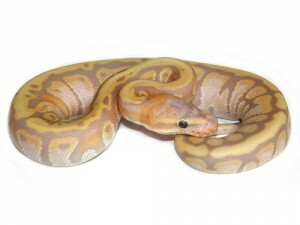 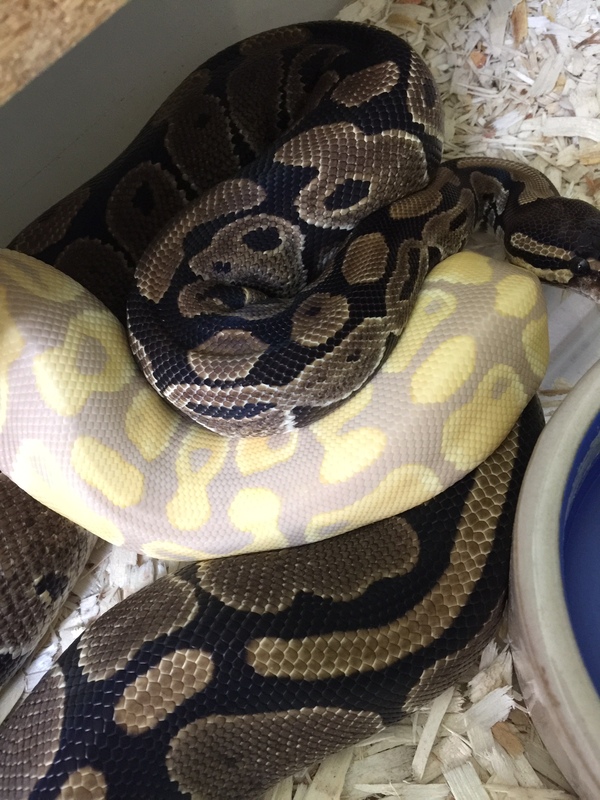 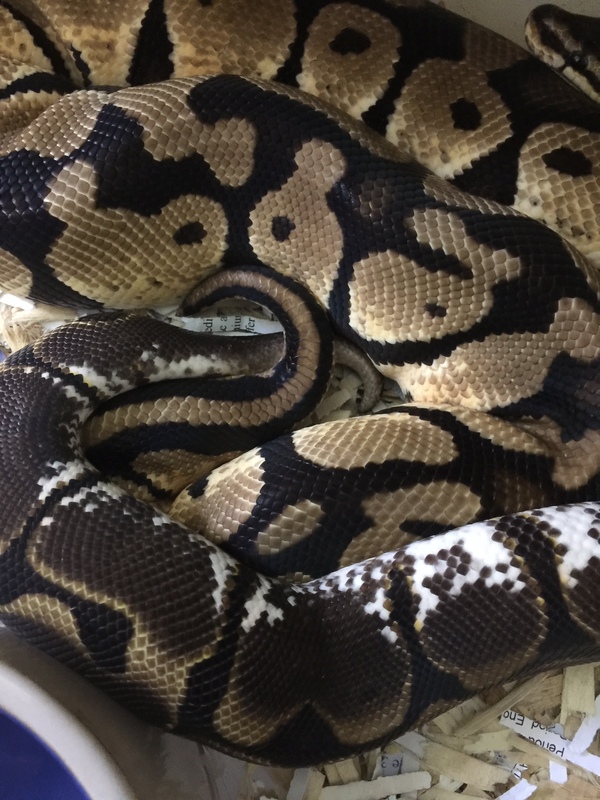 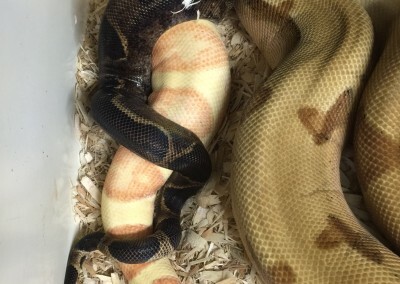 There is beauty in all snakes, but ball pythons have taken the stage as one of the most widely bred snakes of all time with more pattern and color varieties then any other species on the planet. 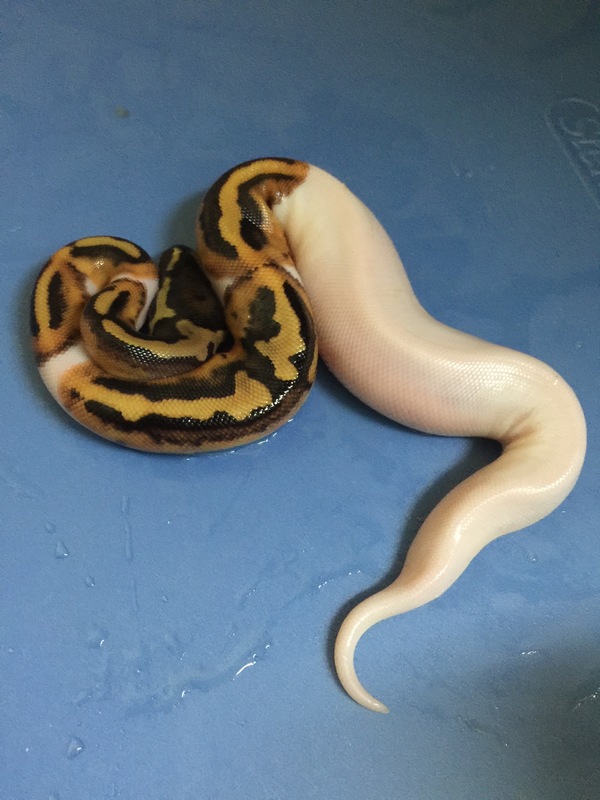 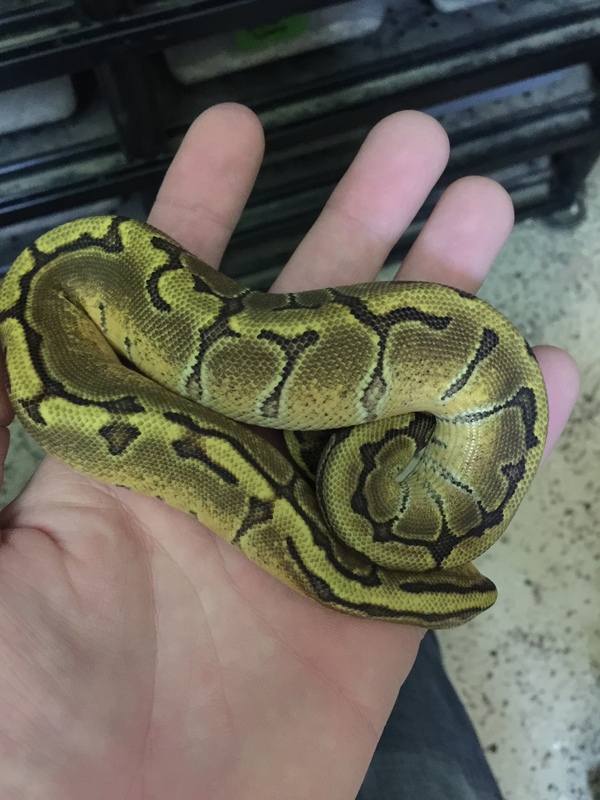 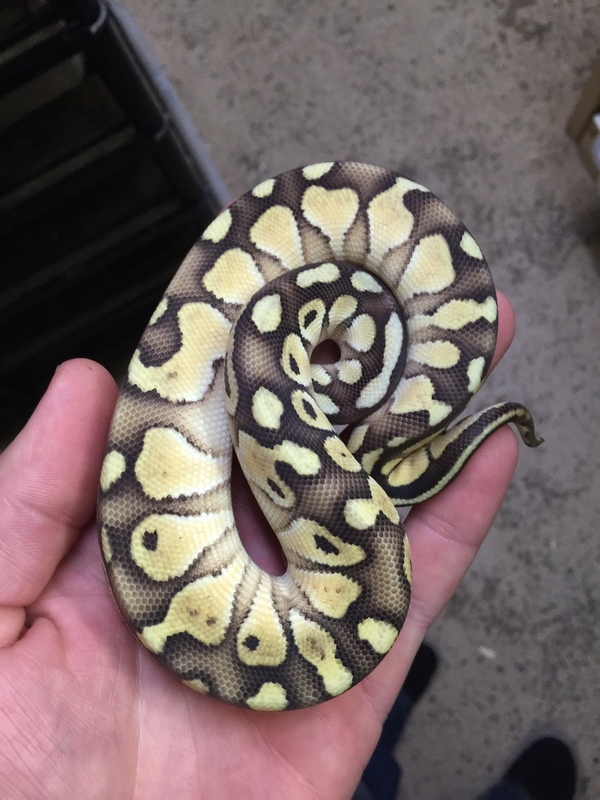 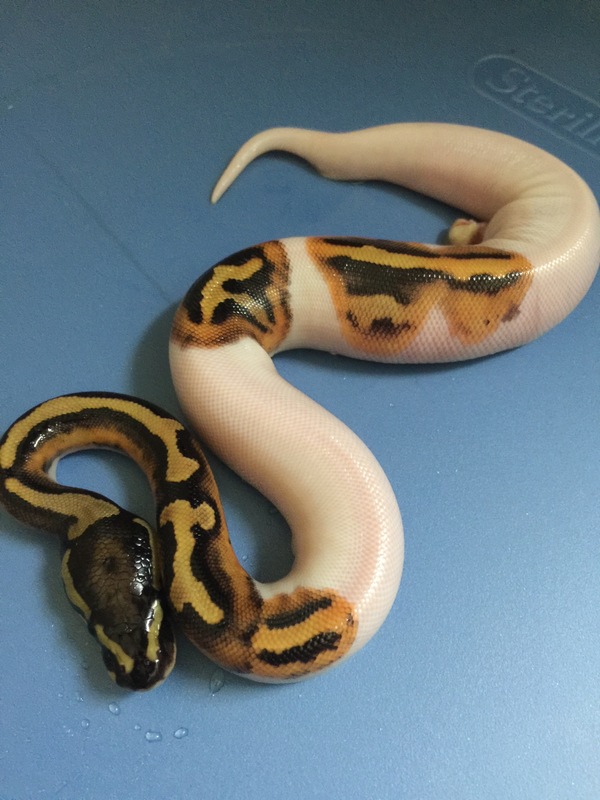 We carry a great selection of morphs and can help you find exactly what you are looking for. 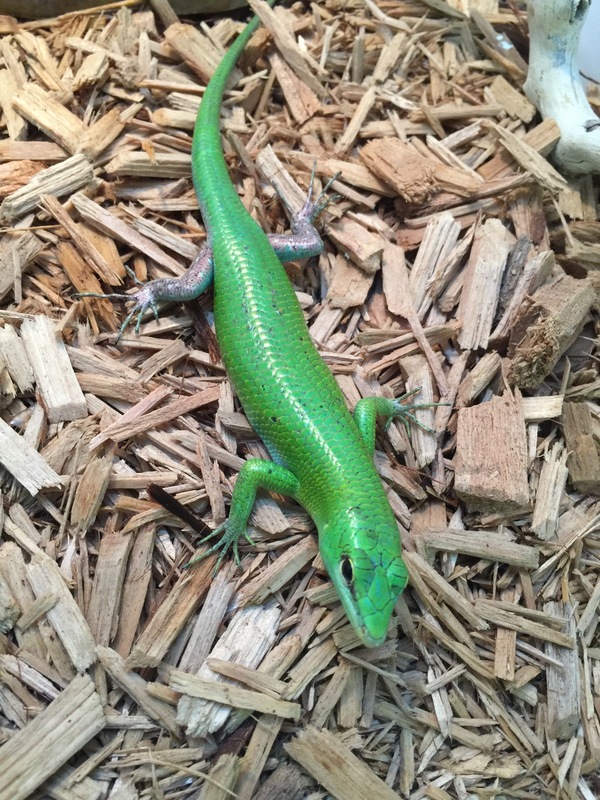 Come in today and check out our inventory. 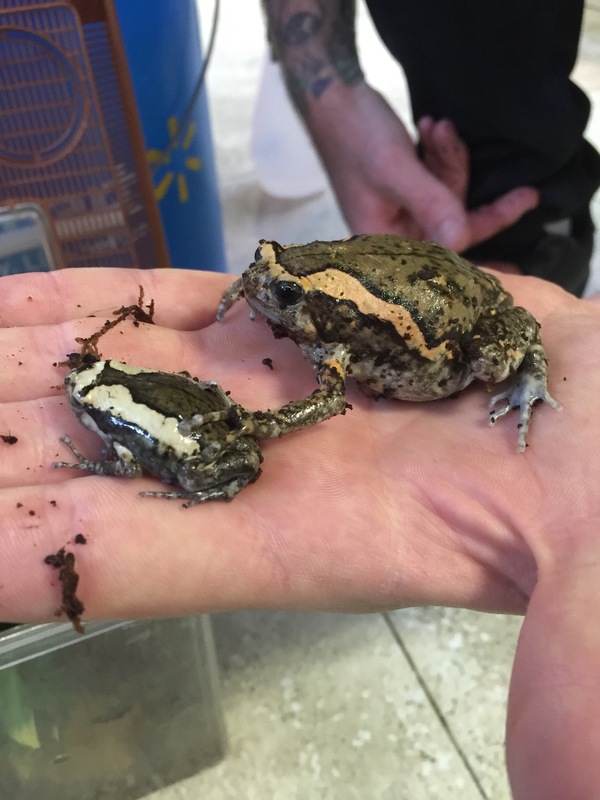 Have you ever considered keeping a pet frog? 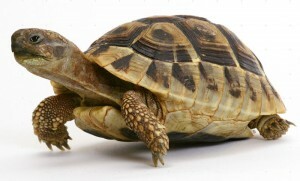 You should! 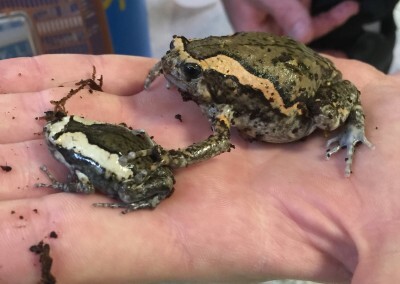 Frogs make great pets, as long as some things are kept in mind. 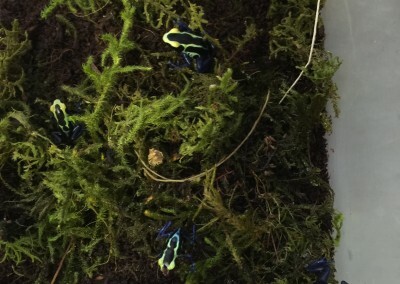 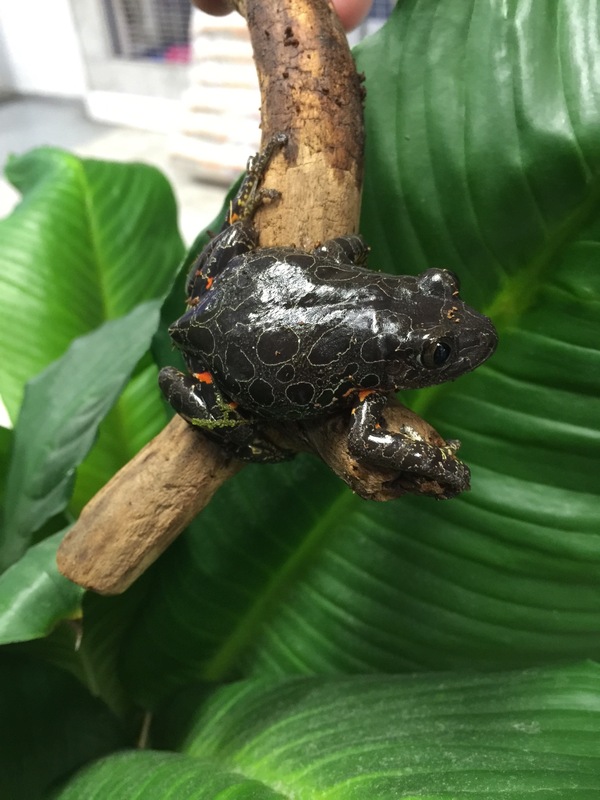 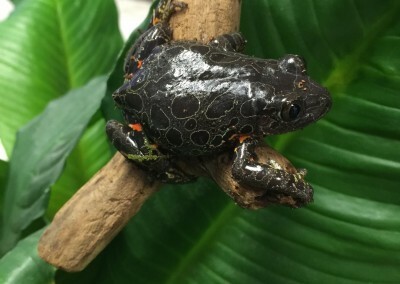 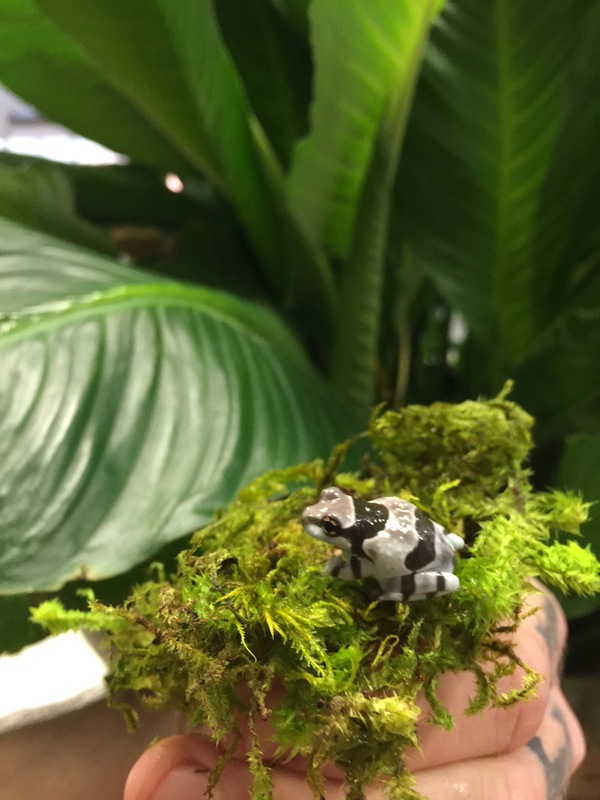 Frogs are relatively easy and inexpensive to keep, can be long lived, make great display animals, provide many educational opportunities for children, low maintenance, and definitely have that cool/exotic factor going for them! 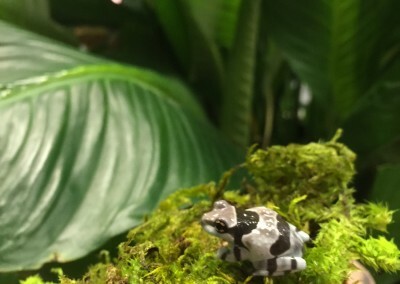 Come in and check out our great selection of frogs and we will help you get all setup to keep and care for these fascinating creatures. 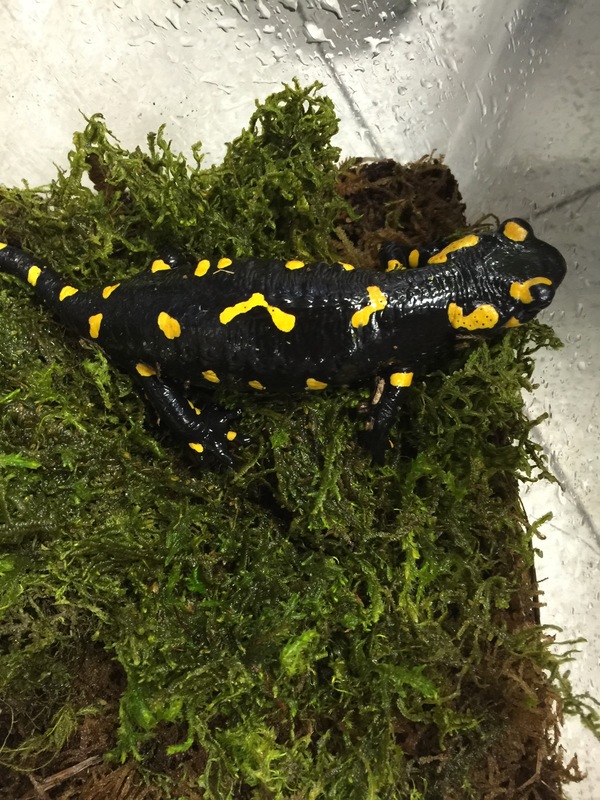 We offer many species of grassland grazers. 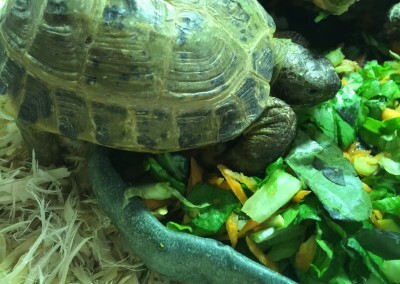 Tortoises can be enjoyable pets for people of all ages. 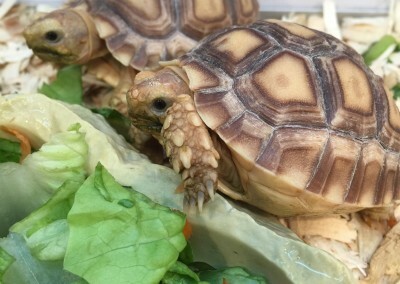 Grassland tortoises include many species such as: Russian tortoise, Sulcata tortortoise and Hermans tortoise’s as well as many others. 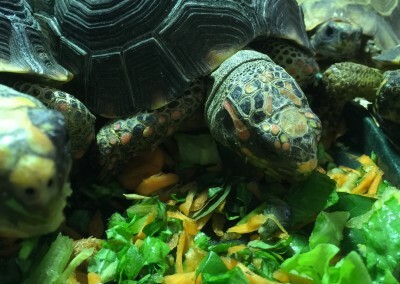 These tortoises are a life long commitment as they are all very long lived. 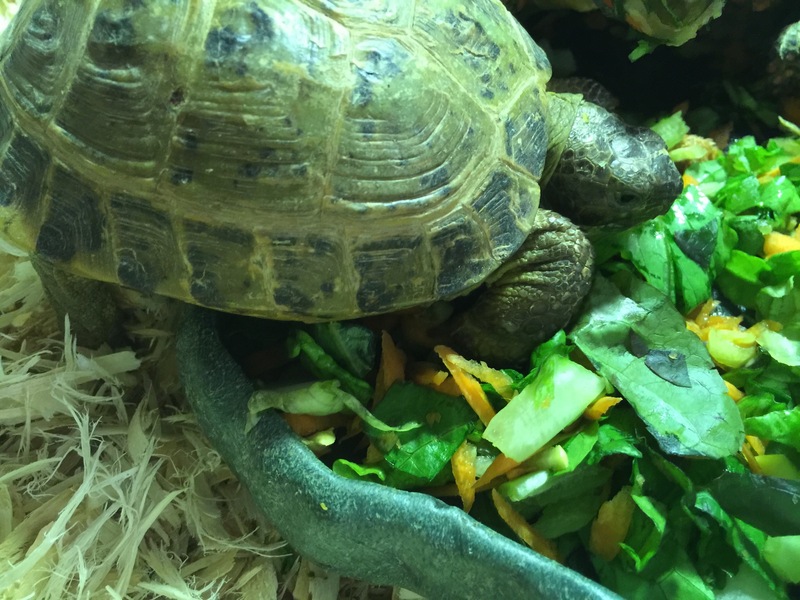 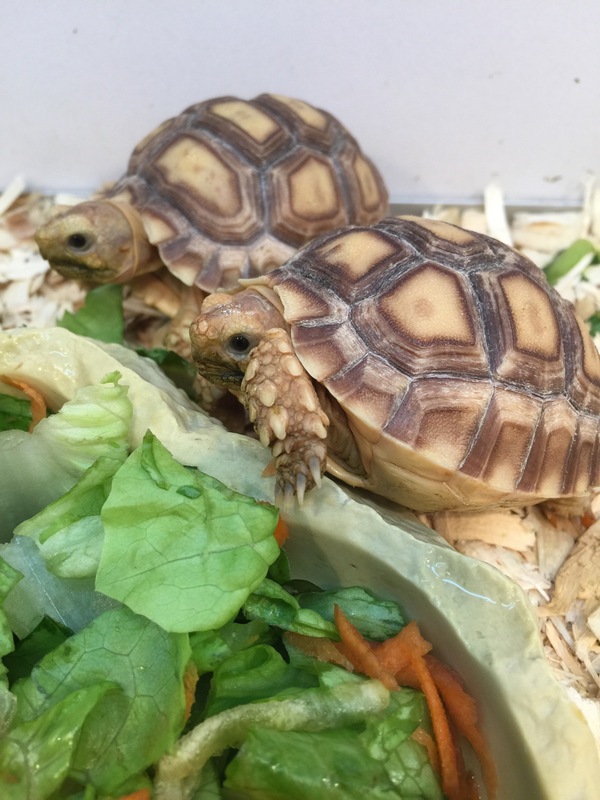 Tortoises are full of personality and make great pets, but do your research and come in and talk to our knowlegbale staff; we can help find the right pet tortoise for you. 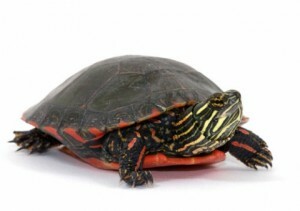 Grassland grazers are as their name states, grazers they spend much of their day feeding on grasses and weeds. 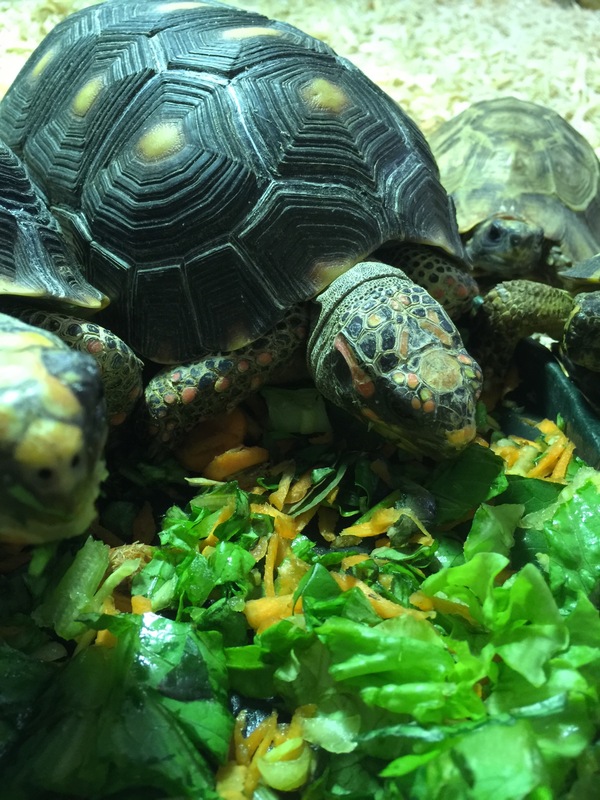 This diet can be a challenge to match in captivity but there are a variety of commercial diets that can be combined with fresh produce to keep your pet happy and healthy for generations.